You are here: Home / SEO / Do I Need SEO For My Website? When building a website, you are going to have a lot of questions. One of those will definitely be about search engine optimization (SEO). Why is everyone in the digital marketing and web design industry so fascinated by these three letters? That is because SEO is more than just optimizing your website for search engines, SEO is about making content that gains your website popularity. Content marketing, especially on the web, is not a simple “if you build it, they will come” scenario. Your website is in competition with millions of other pages out there. That means that even if you have great content flecked with a few keywords, you are not going to receive as high a rating on search engines, or SERPs, as you should be. In short, you need search engine optimization to put the spotlight on your business. Let us start off with some numbers. Google processes 40.000 search queries every second, resulting in over 3.5 billion searches per day. Out of all those searches, someone is looking what your business has to offer. SEO is one of the best ways to connect to a targeted group of consumers and share your company’s story. Having a sound SEO strategy is an integral part of your marketing format and should organically grow with your business or company to keep attracting new leads. Once you establish yourself as an authority in your field, you can use SEO to bolster your status further. This is done by link building with other reputable sources to create traffic. Google algorithms favors those sites that have both a long-standing history of good business practices and connection to other sites that pertain to the individual niches. Blogging is the number one way to generate interest in your website and business, especially when they are properly optimized for searching. SEO turns your blog content into a precisely-aimed advertisement that does not come across as one. SEO has a high return-on-investment (ROI). If a website ranks high in the SERPs, it will receive 33 percent more engagement from users than a similar website that is several pages back in results. Companies invest a lot of time and money in getting their website to the top, but it is worth it. SEO is a cost-effective way to market without ever having to do much but invest in content for your site and decent mechanics. Keywords are for more than attracting people to your website and helping you get indexed for a certain subject. 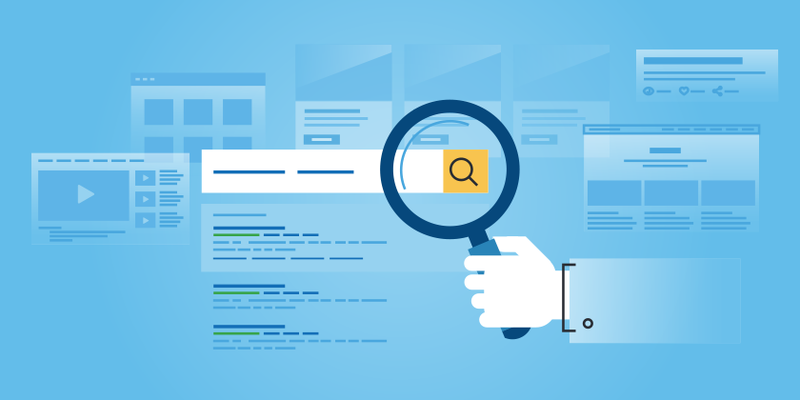 Your competitors are running long-tail keyword and tag checks to see what customers are searching for and how they are searching for it. This means they also get a window into what other businesses are doing to get attention. SEO will increase your outreach, and if you use it masterfully, will play a significant role in your success. SEO is not just for Fortune 500 companies or major enterprises with a global reach. Even small, local businesses can use the benefits of SEO. When you are ranking high in local searches, you will have more people coming to your storefront; and with wonderful content, you will continue attracting more viewers, interest, and revenue. For that reason, SEO is pivotal to your business. Contact us to learn more about our SEO packages.